VARDØ: Known for its radar installations, this small Norwegian town spread over an island in the country’s Arctic northeast was being thrust onto the radar itself this month when Norwegian Broadcasting (NRK) started rolling the cameras of its latest “slow TV” project. Local residents think it may provide a breakthrough for tourism aimed at birdlovers, which could become a magnet like the Midnight Sun and the Northern Lights. 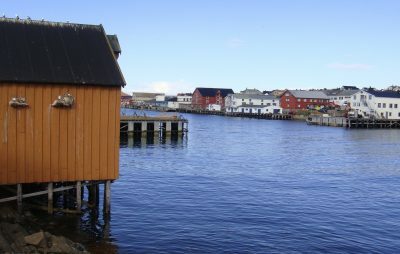 In addition to boasting coastal scenery, vast open areas and a unique polar climate, Vardø is also home every year to tens of thousands of nesting seabirds. The majority cluster on the steep cliffs of another nearby island, Hornøya, only a 10-minute ride away on regularly scheduled boat service from the heart of town. That’s where NRK has set up 15 cameras that are now following the birds, 24 hours a day, both online and on NRK2 for the next five weeks in the state broadcaster’s latest “slow TV” show. It went live on Friday (external link to NRK), and viewers were quickly tuning in from all over the world. “Great cams,” wrote “Brian from England” on the live chat service NRK also is providing. The idea is to connect birdlovers who also share information, and their joy of watching birds. The BBC and a French TV company are also mounting productions, which can attract an international audience. It’s also possible to go birdwatching in relative comfort right in Vardø itself, which has attracted birdwatchers for years. Special birdwatching shelters can be found at strategic points on the island, open around the clock, where it’s also possible to sit and just enjoy the sweeping views over the Barents Sea. It can be chilly, though, also in the summer. After enjoying warm weather in May, temperatures plunged just before NRK’s program began, with wind and rain adding to the brisk weather. Some of the newly hatched birds didn’t survive the cold snap, as NRK’s cameras could prove. Now the midnight sun is peeking out from the clouds again, and NRK’s program can take advantage of the near-constant daylight at this time of year. Local tourism officials hope it will open potential visitors’ eyes to the wonders of the entire area, known as Varanger. 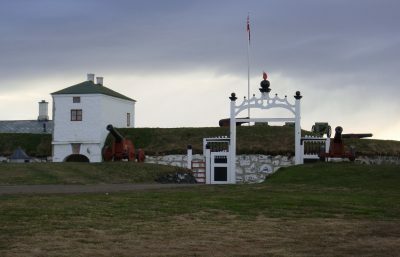 Now that NRK has returned to mount such a major production as five solid weeks of coverage from Hornøya and the surrounding area, “I think it will be a breakthrough for Vardø, and for all of Varanger,” Amundsen told NRK’s website. The local operators of the only hotel in town, the Vardø Hotel, are also encouraged as they’re already checking in more visitors and serving more meals in the hotel restaurant known for its excellent seafood. The historic pub in town, Nordpol kro in a wooden building that survived the destruction of World War II, is also seeing more business and hopes for more. 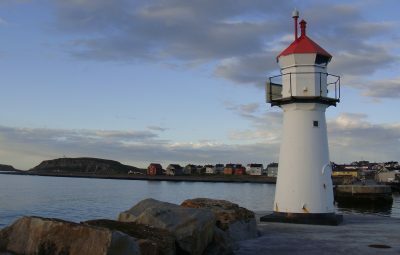 Vardø has more to offer than just its birds. The city also features an historic star-shaped fortress and museum, a vast collecton of outdoor street art, a scenic coastal highway, fishing village atmosphere and an artistic memorial to those burned as witches in the 1600s. Vardø also opened a new Kulturhus (community center) a few years ago that has a large heated swimming pool and cinema, and a few new cafés have opened as well. 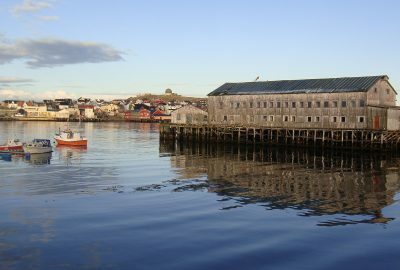 Like many remote towns in Norway’s outlying areas, Vardø has suffered from depopulation and now counts every one of its roughly 2,400 residents dilligently. Those who have stuck around tend to love the place and wouldn’t live anywhere else.